CD-Direct is a database providing key information about Danish VAT-registered companies. CD-Direct is a database where you can find key information about Danish VAT-registered companies. CBS Competitiveness can provide researchers with a short overview of all variables and their definition as used by CD-Direct. Here, you can find or search for accounting, key ratio, growth numbers, areas and credit rating- definitions. You can find our 'Go-To-Guide' with an overview of the different functions of the database, by clicking on the button at the top of this page (Go-to guide with general functions of CD-Direct database opens in Pdf). This file is constructed as a decision tree, where you choose the variable you wish to take a closer look at. 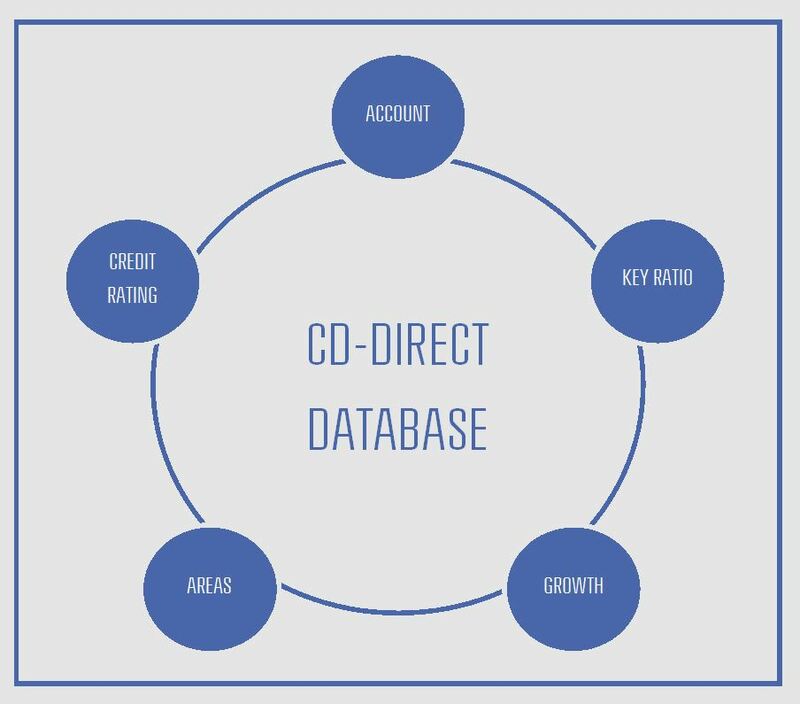 Before installing the database, this overview is helpful to show CD-Direct's functions. However, the overview is not interactive, since it simply illustrates what is clickable in the CD Direct database. We are making this data available for CBS-researchers, so please contact Project Manager Christina Merolli Poulsen (cmp.om@cbs.dk) for further advice on how to obtain the data.